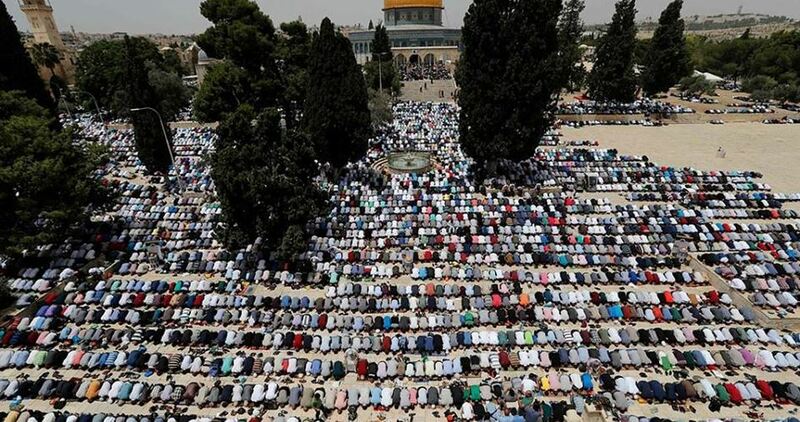 Tens of thousands of Palestinians performed Friday prayers at the Al-Aqsa Mosque in occupied Jerusalem the second Friday of the holy month of Ramadan. Around 200,000 people attended the Friday prayers amid very tight military restrictions throughout the occupied city. During the Friday prayers sermon, Al-Aqsa Mosque preacher Sheikh Youssef Abu Sneineh stressed the urgent need to lift the siege on the people of Gaza. “Gaza’s patience has run out,” he said. He strongly denounced the Arab and Islamic countries’ continued silence over the Israeli escalated Judaization policy in occupied Jerusalem and settlers’ provocative break-ins into al-Aqsa Mosque under police protection. He also called for activating Palestinian national unity, hailing in the same time the Jerusalemites’ strong steadfastness in face of Israeli brutal measures. Masses of worshippers made their way to the holy city from the occupied Palestinian territories despite the many restrictions imposed by Israeli police and forces, especially on the entry of young men below the age of 40, many of whom were banned from entering the occupied city by the Israeli forces. Worshippers had to pass into occupied Jerusalem via military checkpoints as Israeli police beefed up presence around and in the city amid heightened tensions. President of the Syrian Coalition Abdurrahman Mustafa met with Turkey’s Foreign Minister Mevlüt Çavuşoğlu in the Turkish capital of Ankara on Thursday and discussed with him the latest political and field developments in Syria. Mustafa emphasized the strong, strategic relationship with Turkey that is based on continued support for the Syrian Coalition and its institutions, particularly the Syrian Interim Government (SIG) as he stressed the importance of empowering SIG in the liberated areas. Mustafa also stressed the need to consolidate the ceasefire and reinvigorate the negotiating process in Geneva in order to achieve a comprehensive political transition in accordance with the Geneva Communique of 2012 and UN Security Council resolution 2254. He also called for urging Russia to force the Assad regime to seriously engage in the political process. Moreover, Mustapha stressed the need to hold accountable perpetrators of war crimes in Syria, chief among them is Bashar al-Assad and his clique especially after it has been found responsible for the repeated use of chemical weapons and other internationally prohibited weapons as well as the mass killings and displacement of millions of Syrians. President Mustafa thanked the government and people of Turkey for their efforts to alleviate the suffering of the Syrian people which has been ongoing since 2011 as a result of the crimes the Assad regime is committing to cling to power and its refusal of a peaceful transition in the country and the insistence on pursuing a bloody military solution. The Israeli occupation police on Thursday redetained a Jerusalemite prisoner shortly after his release from the Negev jail. According to the family committee of Jerusalemite prisoners, the Israeli police in Occupied Jerusalem detained 48-year-old Mousa Hamada immediately after his release and completion of his jail term. After his release from the Negev jail, Hamada was transferred to al-Maskubiya detention center in Jerusalem, where he will be in custody until Friday, May 25, the committee noted. The detainee, a resident of Sur Baher village in Jerusalem, was arrested on November 23, 2010 on allegations of being a member of an armed group affiliated with Hamas. The Shin Bet, Israel’s internal intelligence, sometimes rearrests prisoners after completing their prison terms in order to dissuade their relatives from celebrating their release or to take certain measures against them such as forcing them to pay financial penalties or ordering them to stay away from their native city for a period of time. At least two Palestinian protesters were injured by Israeli gunfire while dozens others suffocated from teargas after Israeli soldiers attacked them while they were partaking in the continuing Great March of Return protests along the Gaza border. Two protesters were reportedly hit by live bullets in their feet. The two were later moved to hospital suffering moderate wounds. Many others also suffocated when the Israeli soldiers fired teargas canisters at the protesters. 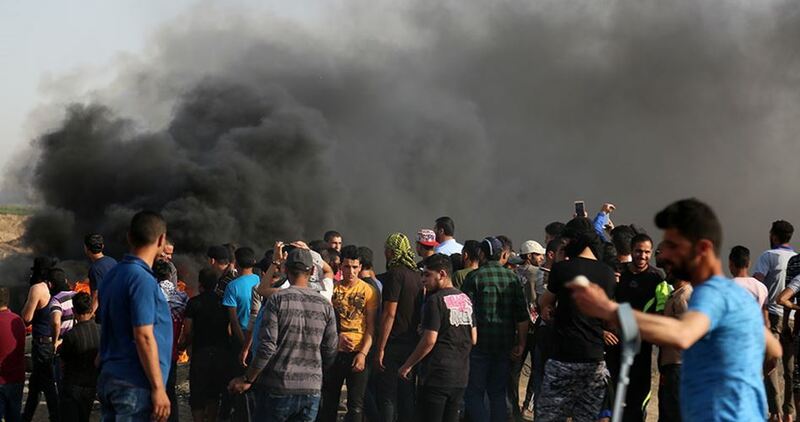 Earlier afternoon, thousands of Palestinians in the blockaded Gaza Strip have converged on the Gaza-Israel border fence for the ninth consecutive Friday to take part in ongoing rallies against the Israeli occupation. Since March 30, Palestinians have been staging mass rallies along the border fence to demand the right of return to their homes in historical Palestine from which they were driven in 1948 to make way for the new state of Israel. Since the rallies began, at least 120 Palestinian demonstrators have been killed and thousands more injured by Israeli army gunfire, according to the Palestinian Health Ministry. A Palestinian youngster was injured on Friday afternoon as clashes broke out in Kafer Qadum town east of Qalqilia, to the north of occupied Jerusalem. Local activist Murad Shteiwi affirmed that a 26-year-old young man suffered head injuries after being hit with a rubber bullet during the clashes. 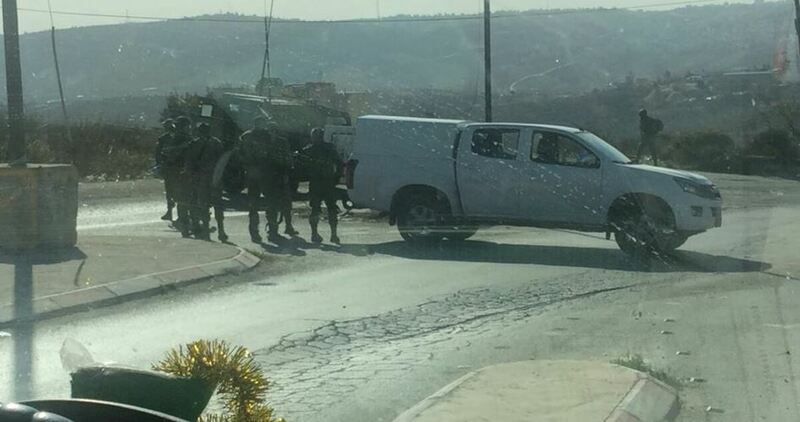 The clashes erupted when Israeli forces stormed the town amid heavy fire of live and rubber bullets, and violently suppressed the anti-occupation weekly march. atirical French magazine Charlie Hebdo has joined a campaign of hatred waged by politicians and media circles in against Student Union Leader at Paris’ Sorbonne University, Maryam Pougetoux, who appeared on television wearing a headscarf. The magazine published a provocative cartoon depicting Pougetoux as monkey wearing the Muslim headscarf with the caption “they chose me to head the UNEF” (French National Student Union). Commentators said the cartoon is the latest in the magazine’s long history of abuse against Islam and Muslims. French Interior Minister, Gerard Collomb, stirred controversy when he criticised Pougetoux’s attire saying he was shocked to see the 19- year-old girl appear on French television, saying it is clear that young Muslims are planning to fight a cultural battle. Meanwhile, Pougetoux defended herself in an interview, saying her headscarf has nothing to do with politics and stems from personal faith. Maryam appeared in a documentary on French television to discuss student protests over education reforms proposed by French President Emmanuel Macron. The Secretary-General of the Palestinian National Initiative, Mustafa Barghouti, has said that the Israeli Defence Minister Avigdor Lieberman support for of thousands of new settlement units in the occupied West Bank is an “actual implementation” of the “Deal of the Century” (The Trump administration’s plan to settle the Palestinian-Israeli conflict). “This is part of the actual implementation of the so-called Deal of the Century and a blatant violation of all international laws and charters and the criminal court,” Barghouti asserted in a statement on Thursday. He stressed that “Israel will not be deterred except by changing the balance of powers, through uniting the Palestinian ranks and escalating the boycott and popular resistance against the occupation and the discrimination and racial segregation regime, which is forced upon the Palestinian people. “We will be planning to establish 2,500 settlement units during the meeting of the Supreme Planning Council in the West Bank, in addition to other 1,400 units that will be immediately established,” Lieberman claimed via his Twitter account on Thursday. בשבוע הבא, נביא לאישור מועצת התכנון העליונה ביהודה ושומרון 2500 יחידות דיור חדשות, מתוכן 1,400 לבנייה מיידית. אנו נקדם בניה בכל רחבי יהודה ושומרון, מצפון עד דרום, בישובים קטנים וגדולים. נמשיך ליישב ולפתח את יהודה ושומרון, במעשים. On 23 December, 2016, the UN Security Council had overwhelmingly endorsed the resolution which considered the Israeli settlement in the 1967 occupied territories, including East Jerusalem, as an “illegitimate settlement” and called to completely and immediately halt it. 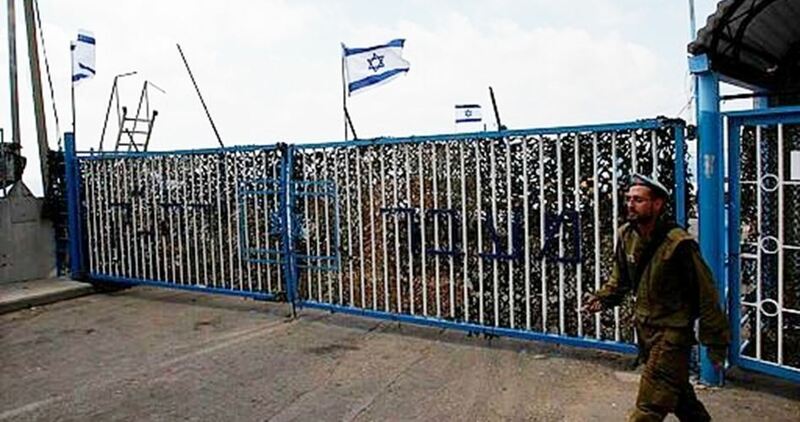 In return, Israel will substantially reduce restrictions at Gaza’s border crossings, including permitting the entry of goods and services to the impoverished enclave, on the condition that they will not be used to boost Hamas’ armed wing. Egypt will also lessen restrictions at its Rafah crossing with Gaza and open the border more frequently. Talks between the Palestinian factions have stalled in recent months. Although Fatah and Hamas signed an agreement in Cairo in October in an attempt to advance reconciliation efforts and restore the PA’s governing authority in Gaza, they failed to make progress in the aftermath of US President Donald Trump’s recognition of Jerusalem as the capital of Israel. Relations declined further following the attempted assassination of PA Prime Minister Rami Hamdallah during a trip to Gaza in March for which the PA blamed Hamas, who in turn denied any involvement. The three men identified by Hamas as suspects involved in the bombing were later killed in a shootout with its forces in Gaza on 22 March. Earlier this month, the PA cut salaries of its civil servants in the Strip by a further 20 per cent, causing widespread protest. An issue of longstanding contention, last year Palestinian President Mahmoud Abbas slashed Gaza salaries by 30 per cent. He has also reduced PA staff numbers in Gaza from 60,000 last year, by ordering early retirement for nearly a third of employees. PA officials said at time that those moves were meant to pressure Hamas to relinquish control of Gaza. However, following news that Palestinian prisoners were also facing cuts in their remittances, the PA blamed the hold-up on technical issues. 4. Verbreekt het doorslikken van speeksel het vasten? 5. Degene die gemeenschap met zijn vrouw heeft gehad en pas na fajr de wassing verricht, is het vasten geldig? 6. Wat is het oordeel omtrent een persoon die de sahoer nuttigt en niet doorheeft dat fajr al is aangebroken? 7. Is het toegestaan voor de vastende om de astma-inhalator te gebruiken? 8. Wat is het oordeel omtrent het gebruiken van crème voor uitgedroogde lippen of neus? 9. Wat is de regelgeving omtrent het gebruiken van zetpillen tijdens het vasten voor degene die ziek is? 10. Moeten de kinderen die nog geen 15 jaar oud zijn, worden opgedragen te vasten? 11. Als de menstruatie van de vrouw overdag ophoudt, moet zij dan de rest van de dag vasten? 12. Als het menstruatiebloed stopt met vloeien voor fajr, maar pas na fajr de wassing wordt verricht? 13. De zwangere vrouw die uit vrees voor haarzelf of haar kind niet vast, en zo ook de vrouw die borstvoeding geeft, wat is het oordeel daarvan? Ook kan het voor de vrouw die borstvoeding geeft nodig zijn om te eten en drinken als het vasten haar melk vermindert. Helemaal wanneer de dagen lang zijn in de zomer en de hitte hevig is (shaych leefde in Saudi Arabië). Ook zij moet dan later de gemiste dagen inhalen. 14. Verbreekt het proeven van eten het vasten? 15. Mag de vastende vrouw crème gebruiken? Daar is niks mis mee, ze mag crème gebruiken voor haar gezicht, rug of andere plaatsen op haar lichaam. Deze crème in al zijn soorten heeft geen effect op het vasten.